I was so lucky this week to have some amazing projects come my way. This one with Asia Kepka about the work of painter, Daphne Confar, was inspiring and a great experience. I look forward to our next project. Stay tuned! In the meantime, enjoy this piece. Daphne Confar – New Paintings from asia Kepka on Vimeo. I am so excited to be able to say that I got to work with the great Don Minchello and his wonderful team at Home Center Sotheby’s International Realty in Hingham and Cohasset, Massachusetts. This great South Shore company has been a fixture for many years. Don recently acquired the firm and has been making some improvements for the company’s clientele, as well as the agents. This website was a lot of fun to work on and Boston Logic once again provided the platform and tools we needed to get it done. Visit their site to search for Massachusetts real estate or to do a town search. You can even narrow it down to water-accessible properties. There are integrated search tools from Google, Yelp, Education.com and Zillow. By the Sea Sotheby’s International Realty launched a brand new real estate website today. This was a lot of fun to develop with broker/owner Karen Hanson. We thought about different ways to services clients’s search needs, including creating pages for equestrian property, waterfront real estate and antique houses. Join me in congratulating Karen and her wonderful agents at By the Sea Sotheby’s International Realty. The video below describes all the new site’s features and how to follow their social media posts on Facebook, Twitter, Youtube and Pinterest. You’ve read some painfully boring blog posts. You blogged once or twice and it gave you a headache. You haven’t blogged about a topic you like. You are afraid because you haven’t blogged before. It creates original content that can help your search engine optimization (SEO). It positions you as an expert in your industry. It shows you are actively involved in your business. Serves as a resource for potential clients. Be yourself. Style matters. If you’ve read boring posts, you probably read a sterilized version of the writer’s actual opinion. Of course we need to be professional in our business blogs. But, we don’t need to remove all humor or style. The blog post needs to offer good info delivered in an engaging way. Otherwise, it’s not worth writing. Select topics that interest you. There are aspects of our jobs that we like and those that we don’t like. I find that, all too often, people blog about the things they DON’T like because they think it is more valuable. If you think about the origination of the word “blog”, it is a “web-log” — essentially a blog is a diary. In this case, think of it as your own daily/weekly record about what is happening in your industry. So, choose the items that interest you first. Then, add your own style/spin to the items you don’t. This will make it more fun to write and more engaging to read. and this list was just what I could come up with in two minutes! If you have wanted to blog and are having trouble finding topics, post your industry/career in the comments. I will reply with ideas. 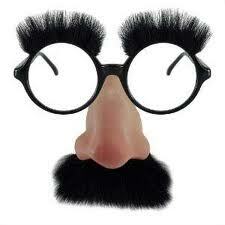 If all else fails, buy a pair of Groucho Marx glasses — it is virtually impossible not to have fun when wearing them. Please contact me for more information about marketing your business. So, I guess it can be “green” in more than one way. 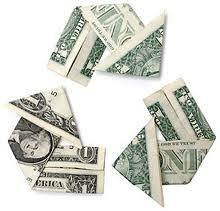 We can save the planet and save our wallets at the same time. How does that work? Well, technological marketing tools allow us to target our audience, use inexpensive resources to reach them, and to measure our results to perfect our approach over time.